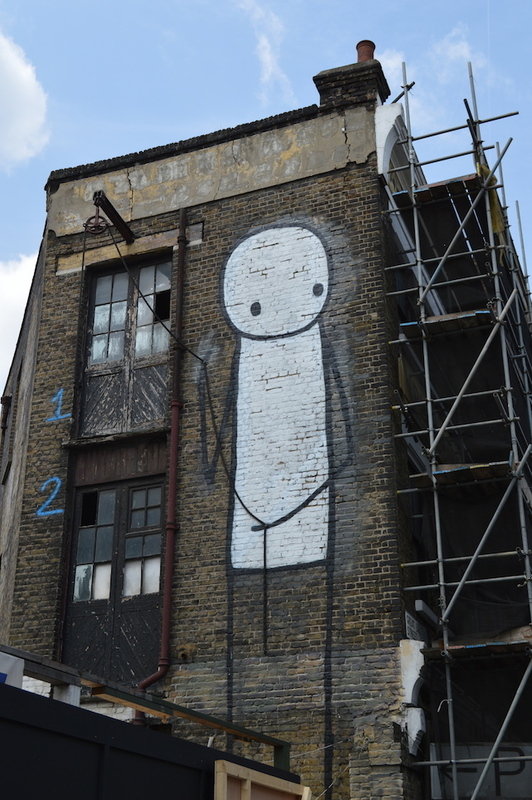 One of the most famous pieces by Stik. View of hotel along Leonard Street. View of hotel from Great Eastern Street. View of hotel from Great Eastern Street, showing the retained facades. 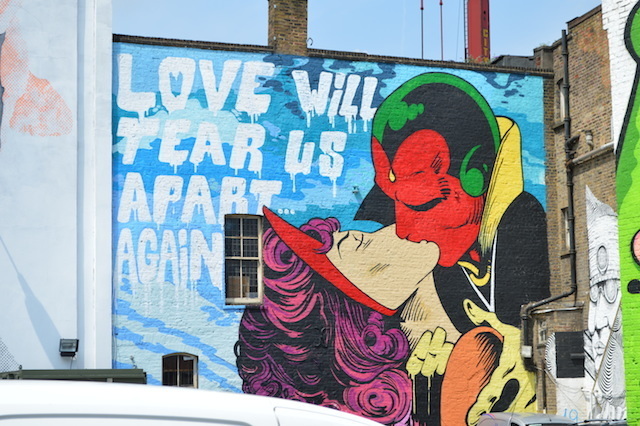 A set of crumbling buildings in Shoreditch is finally set for demolition, years after they were condemned and dressed in support scaffolding. 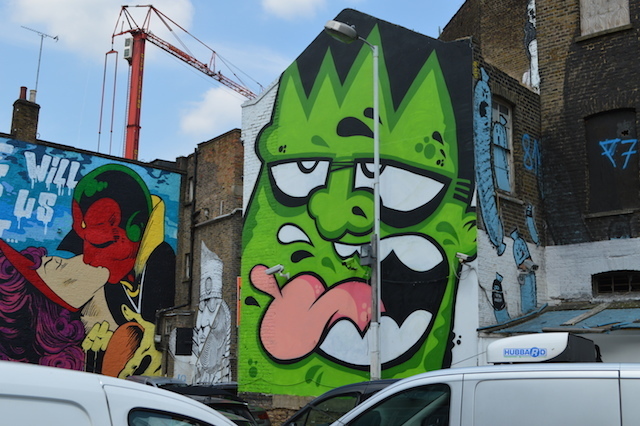 Another piece of old London must go, and with it one of the area's largest street canvases. 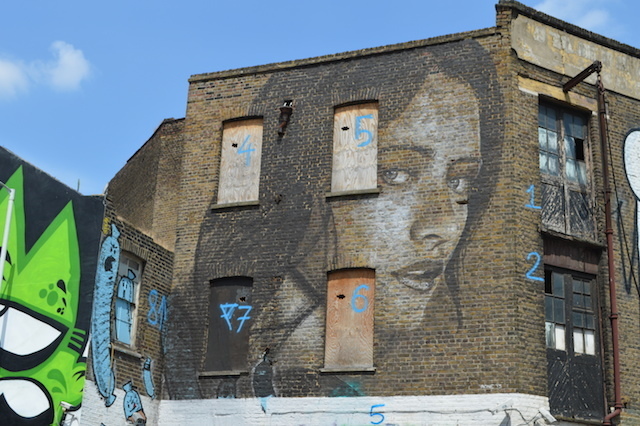 The block, between Leonard Street and Great Eastern Street, and nudging up to the Griffin pub, sports some of the capital's most impressive large-scale street art, including work by Faith 47, Rone, CEPT, Mysterious Al, Roa, and a particularly memorable piece by Stik. It is now completely surrounded by hoardings, and will be handed over to the developers later this week. The site is set to be turned into a mixed-use complex including new homes, commercial units and a hotel. 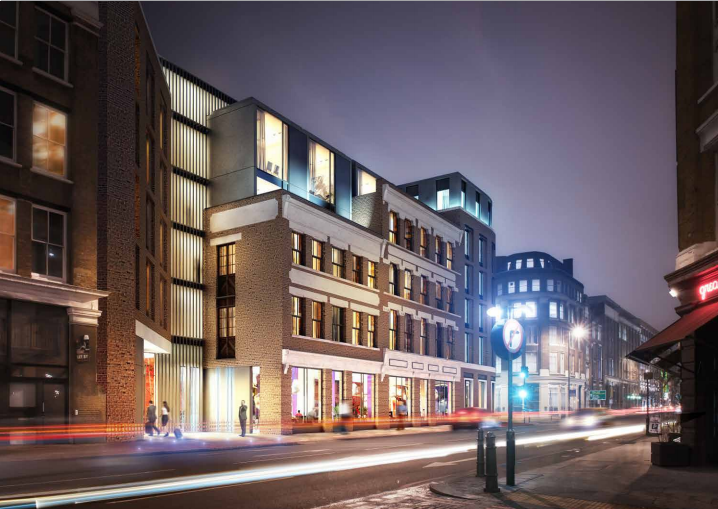 The latter will compete with the nearby Hoxton Hotel, and yet another hotel about to begin construction on neighbouring Willow Street. 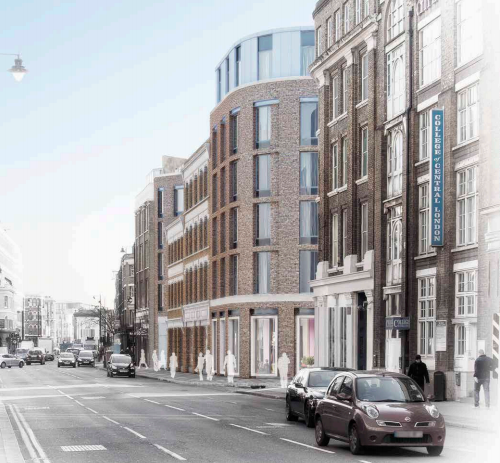 The scheme isn't all new-build, and will retain the characterful Great Eastern Street facades, which date from 1877. 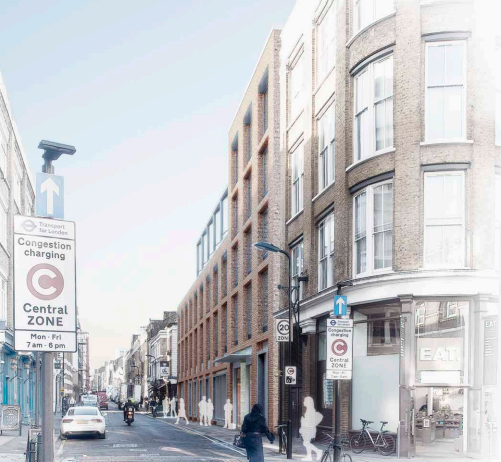 More information can be found in Hackney Council planning application 2012/0506. To commemorate the passing of the art space, one of the murals will be released as a print by Global Street Art. 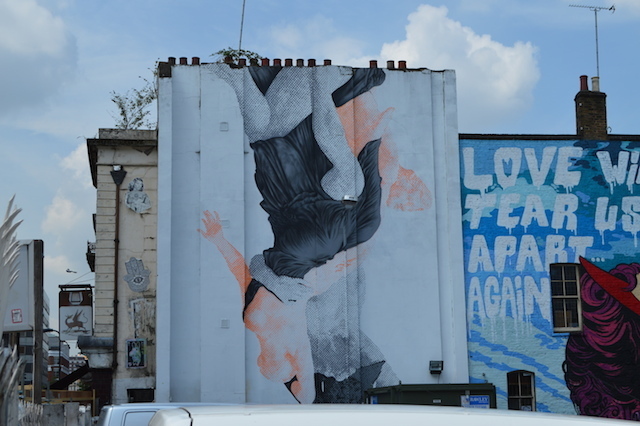 Time After Time by CEPT, featuring the words Love Will Tear Us Apart, will be available from their site from Friday 27 June.